Regarded by many as One of the all time great stud dogs of all time. 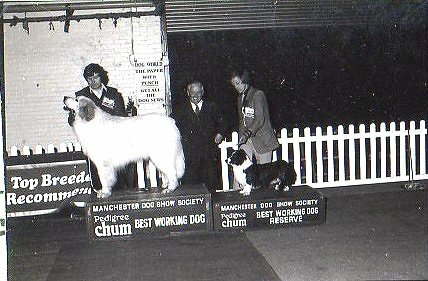 Best In show C.W.C.A Ch show 1974. Son of Mudwin amd Best in Show C.W.C.A Ch Show 1975.1977, 1979 and Best of Breed Crufts 1976,1977,1978. Making breed history by becoming the very first Cardigan to win a heat of the Daily Express.Dog World puppy of the year stakes. 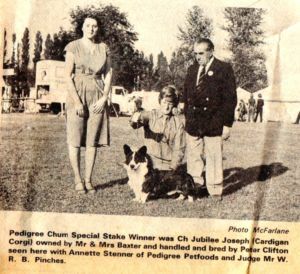 Jo Clifton with Mudwin and his son Pharoah at 5 mths. 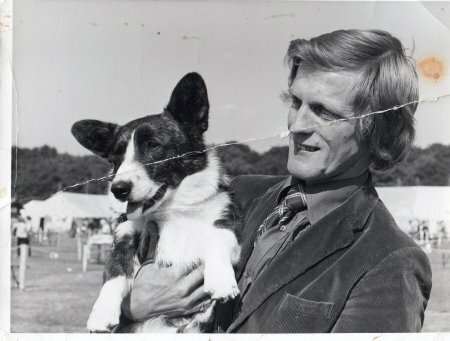 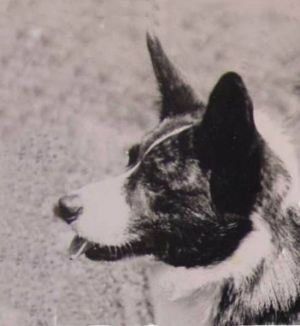 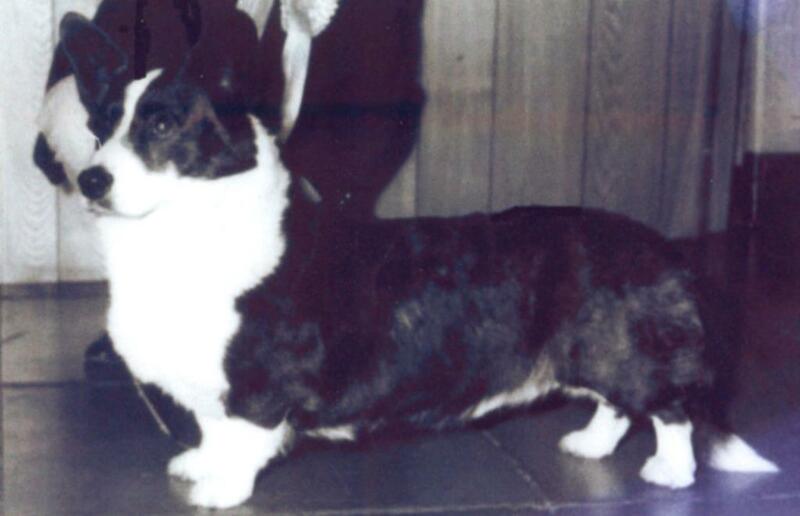 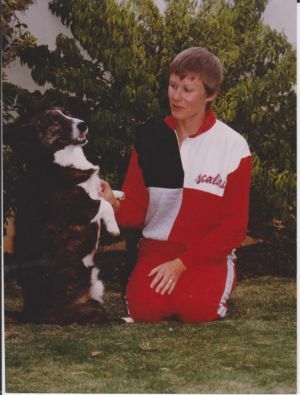 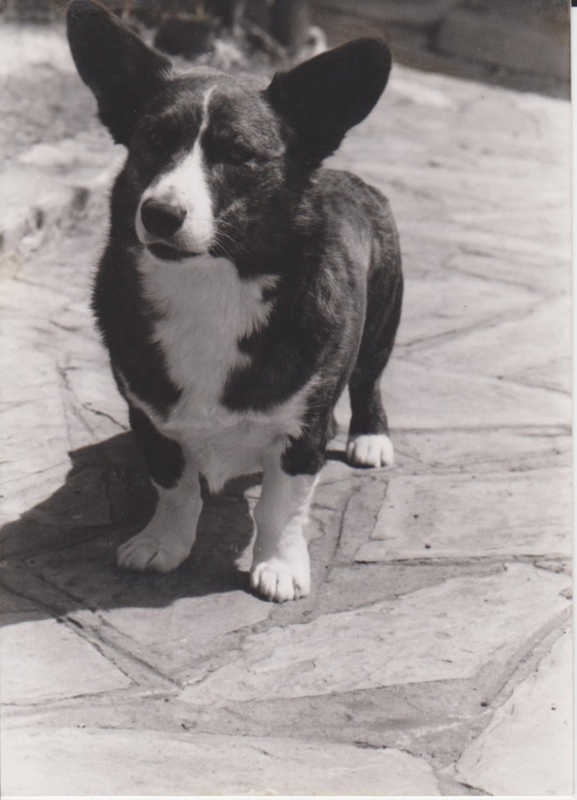 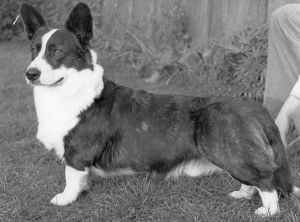 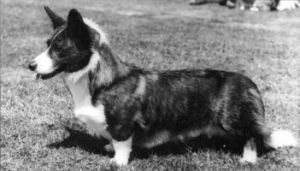 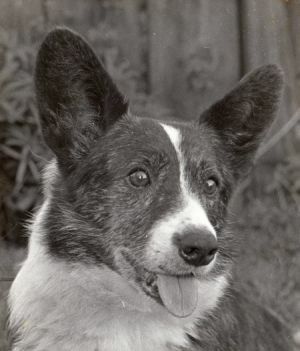 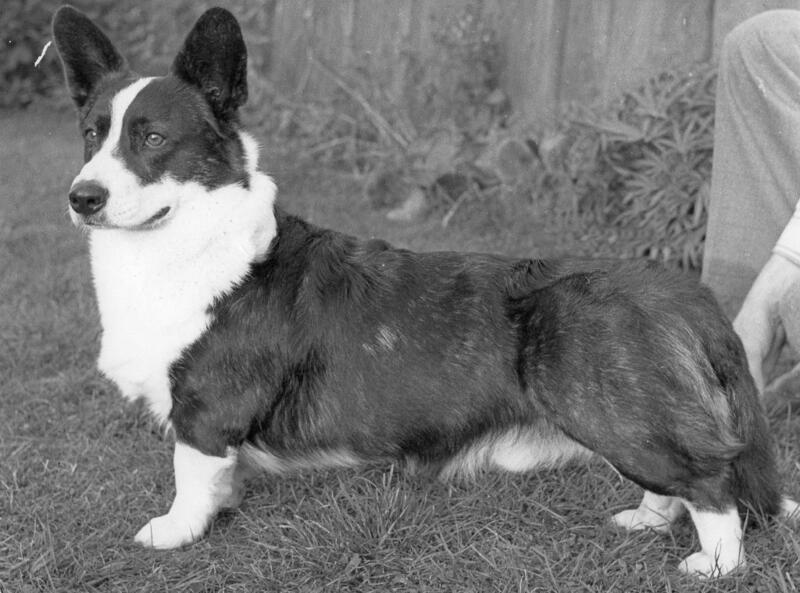 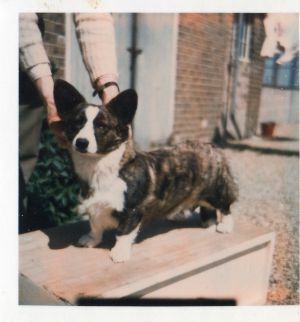 The Cardigan that fellow breeders would not purchase when offered for sale, due to the fact that Joseter was overun with top stud dogs at that time. 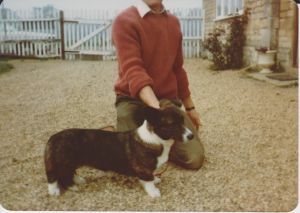 Sold as pet to Audrey and David Baxter on the condition that he return at 6mths, and if still an exciting prospect he would be campaigned by Peter. 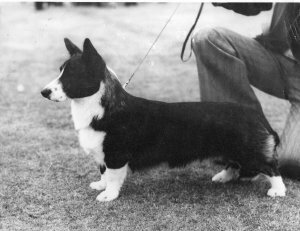 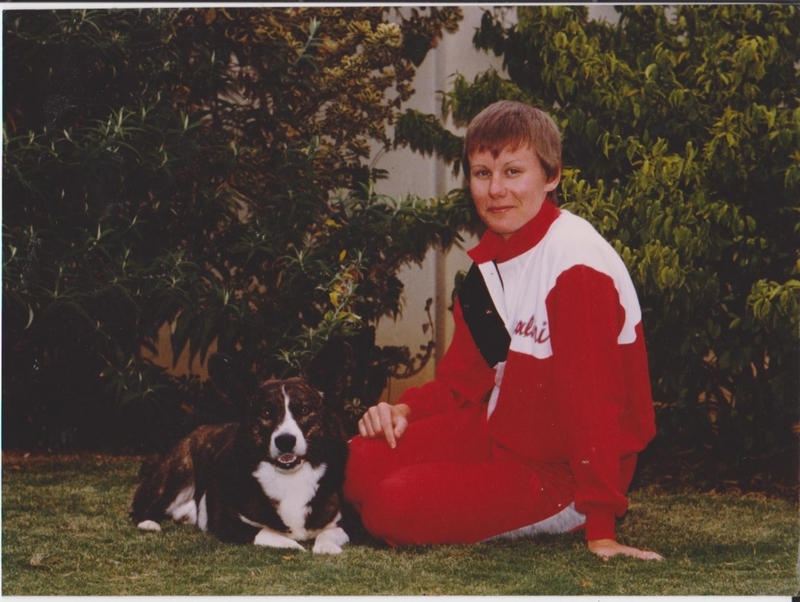 For the reasons stated he was registered at the Kennel Club without the Joseter Prefix. 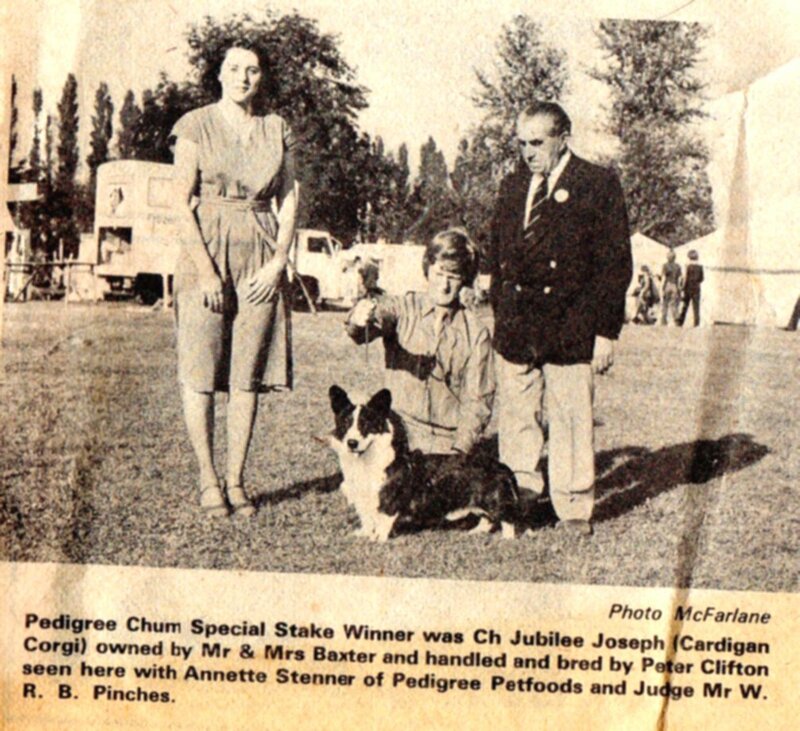 Making Breed History by becoming the first Cardigan to win a heat of the Pedigree Chum Special Champions Stakes at Leicester Ch Show under all breed judge Mr W.R.B Pinches. 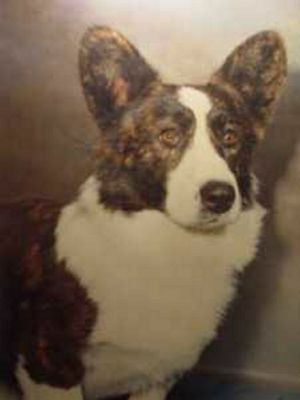 Sire Ch Pharoah of Joseter. 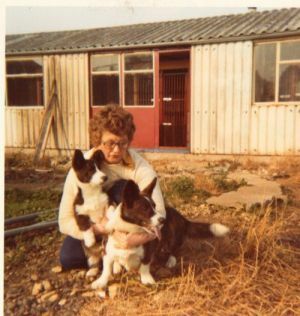 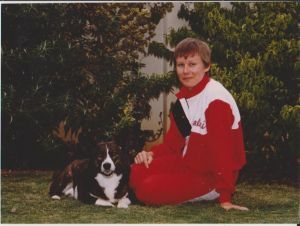 David and Audrey Baxter later became great breeders in their right.